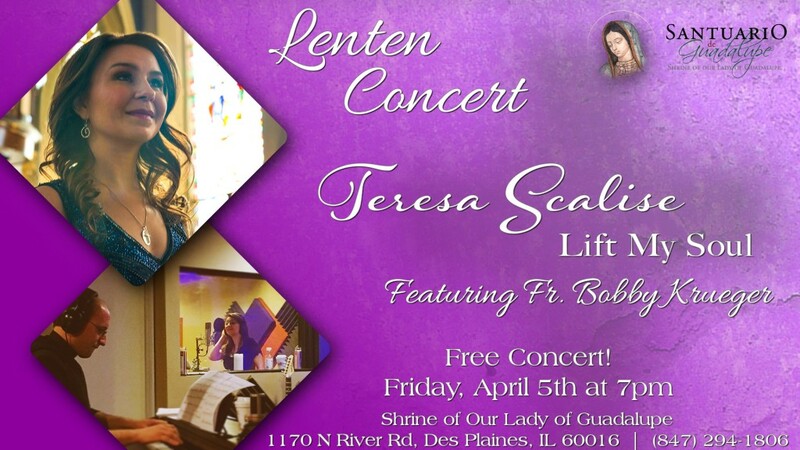 The Shrine of Our Lady of Guadalupe would like to invite you to a wonderful Lenten Concert that is totally FREEEEE! On April 5, 2019 at 7pm in the St. Joseph Chapel at the Shrine of Our Lady of Guadalupe, 1170 N River Rd. Des Plaines, two of my good friends Fr. Bobby Krueger and Ms. Teresa Scalise who are composers and singers will be offering us a night to remember. They will play musical selections in English, Spanish, Italian and Latin.